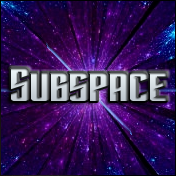 Subspace is a bold, stylized face based on the early logo for CBS/Paramount’s 2017 Star Trek television series. Includes full alphabet, numerics, and extended punctuation. Includes regular, italic, bold, and bold-italic weights. This entry was posted in Font Updates on May 19, 2016 by Jaynz.